The Republican chair of the House Oversight and Government Reform Committee on Friday released Secretary of State John Kerry from testifying before his panel on the Benghazi attack, saying Kerry was using next month’s appearance to “shield” him from appearing before a newly formed select committee. Issa subpoenaed Kerry to appear in front of his committee as Congressional Republicans spearheaded an effort to form a separate panel to investigate the 2012 attacks that killed four Americans. Kerry agreed to appear, but State Department officials said his testimony would remove the need for him to appear before the select committee. 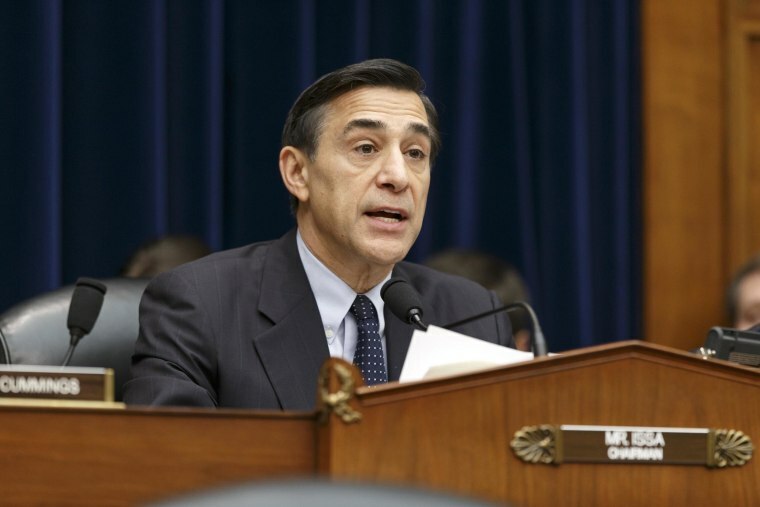 “It's been disappointing to watch a long serving former senator, like Secretary Kerry, squirm his way to what I'm doing today - releasing him from the upcoming hearing commitment he made only after we issued him a subpoena,” Issa said.